Published: Dec. 17, 2017 at 04:58 p.m. 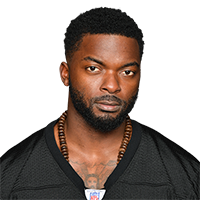 Published: Jan. 6, 2017 at 10:27 a.m.
Pittsburgh Steelers wide receiver Eli Rogers pulls in 24-yard touchdown. Published: Jan. 6, 2017 at 10:25 a.m.
Pittsburgh Steelers wide receiver Eli Rogers hauls in a 39-yard catch from quarterback Ben Roethlisberger and caps off the run by taking out the kicking net. Published: Nov. 13, 2016 at 05:02 p.m.
Pittsburgh Steelers wide receiver Eli Rogers catches low pass from quarterback Ben Roethlisberger for a touchdown.